If you’re the type of person who is looking for ways to save money using cashback apps and various other forms of couponing then you may want to check out an app called CoinOut. Over the years I have reviewed a variety of cashback apps, couponing websites, and other fun and easy ways to earn extra pocket change doing things that I normally do on a day to day basis. As I was scouring my social media feed this morning this app appeared several times and this intrigued me to do some further research on this to see what it had to offer and how everything worked. In the following review, I’ll be sharing my personal experience that I’ve had using this app so far and showing you how much you can really earn. If you’re the type of person who loves to save money and you’re a penny pincher then you’ll want to stick around and continue reading this review in its entirety cause I’ll be sharing some pretty exciting info with you guys today. What Exactly Is The CoinOut Cashback App? 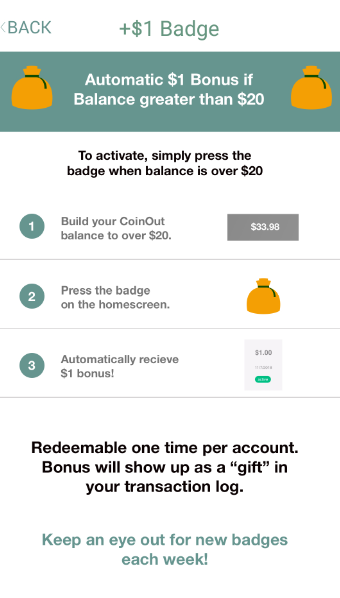 CoinOut is a smartphone app that’s available for Android and Apple smartphone devices that gives you the ability to earn pocket change from a variety of receipts from everyday purchases you make. Think of this more like a digital wallet for you to store your loose change that you get back from the grocery store, fast food restaurants, gas station, Starbucks, and many other places that you shop on a day to day basis. If you guys happen to watch the ABC show Shark Tank then you may recognize Jeffrey from the appearance he made on the show back on February 18, 2018, where he first introduced this revolutionary app to the entire world. To date, there are already thousands of people using this app and the popularity of this app seems to be spreading like wildfire. There are also hundreds of merchants already on board with this and many more that I’m sure will follow suit as the popularity of this app continues to grow. It’s estimated that Americans toss away as much as $62 million in loose change each year. It’s pretty crazy to think that pocket change could add up to this much and just the thought of this is pretty mind-blowing, to say the least. Also, did you guys know that 89% of Americans still use cash instead of credit cards? What a better way to take this loose change and turn it into a digital currency that you can use in a variety of different ways. A smartphone device and a phone number, that’s It!! Once you download the app and enter a valid phone number you’ll be able to create your account which takes less than a minute to get everything set up. You can cash out and receive your cashback rewards in 2 ways and I’ll be listing these for you guys below!! While paying with either cash or credit/ debit card you can either enter your phone number at the time of the transaction at participating retailers or you can wait till you get home and scan your receipts manually. To do this, simply tap the scan button you see above and make sure that your receipt is lined up with the yellow lines. In order for you to receive credit for your receipts, you need to make sure that the following information is legible. As long as this information is included in your scan you should see the funds added to your account immediately after scanning your receipt and you should hear a cha-ching cash register sound verifying the funds were added to your account. Your receipts can be up to 2 weeks old and you’re limited to scanning 5 to 10 per day at this point in time but I’m sure this number will be raised in the near future. They also accept e-receipts as well and at this time you can upload 4 of these per day. 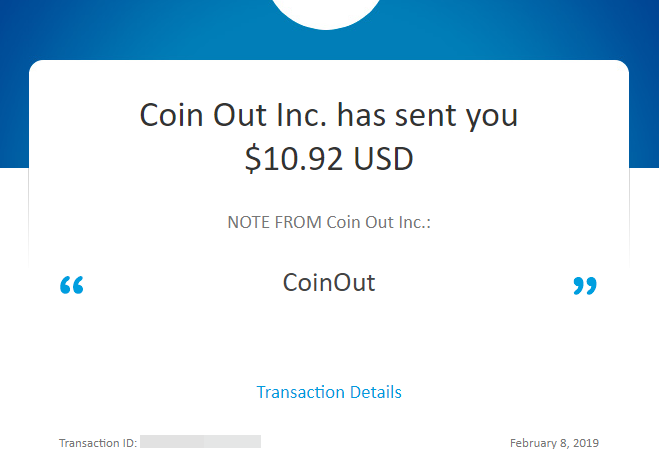 In order for you to receive credit for these types of receipts, you’ll need to send them to receipts@coinout.com and this needs to be done the same day of the purchase. What are e-receipts you may ask? These are receipts from online purchases that you get while shopping online. The amount that is deposited into your account is totally dependent on the retailer as many retailers will pay more than others. In my own personal experience that I’ve had with this app so far, the ones that tend to pay the most are Burger King, Subway, and Starbucks. These usually range anywhere from 3 to 5 cents, but I was able to earn a whopping 61 cents back from my Starbucks receipt and I think this is absolutely awesome. Jeffrey also has plans to add several large retailers to this list as time goes on that will be offering bonuses whenever you scan a receipt and enter it into the system. As I was checking out this app the other day I noticed that it has received quite the facelift and looks nothing like it did merely 5 months ago. Here are a few of the updates that Jeffrey has been working on over the past few months and that just got added a while back. This is just one of the very exciting updates that have been added to this app over the past few months and at this present time, there aren’t a whole lot of retailers participating in this just yet. However, as time continues to move forward I’m sure that we will see many other online retailers jump on the bandwagon and partner with this app. I’ll be explaining exactly how their cashback program works and how you can make it work for you below. 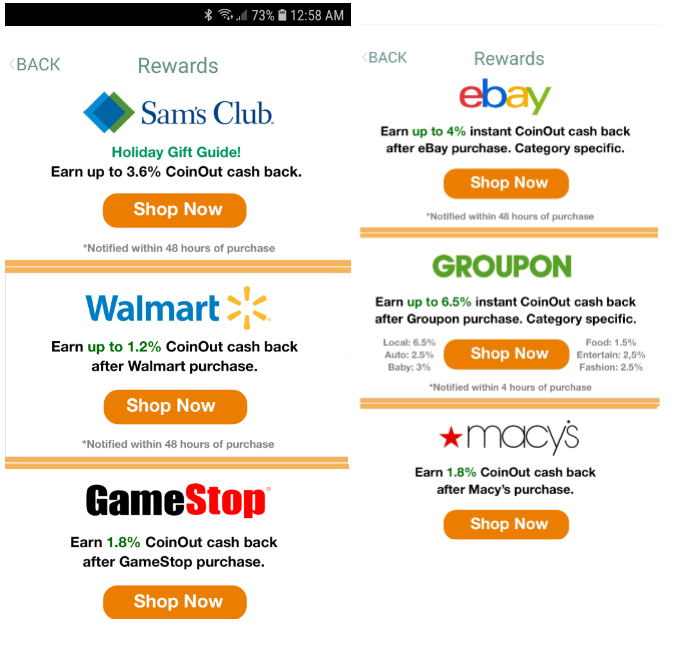 You would simply need to open the app and click on either the store logo buttons at the top like you see in the screenshot above or click on all stores to gain access to the cashback section. In order for you to unlock the cashback option, you’ll need to click where it says shop now. From there you would just shop as you normally would any other time you do any shopping online. The amount of time that it takes for your transaction to appear will vary from store to store and some retailers take up to 48 hours to approve your cashback and have it show up in your account. Once you earn your first cashback reward it will enter the pending state and depending on the online merchant will determine how long you’ll have to wait for it to clear and show up in your account. 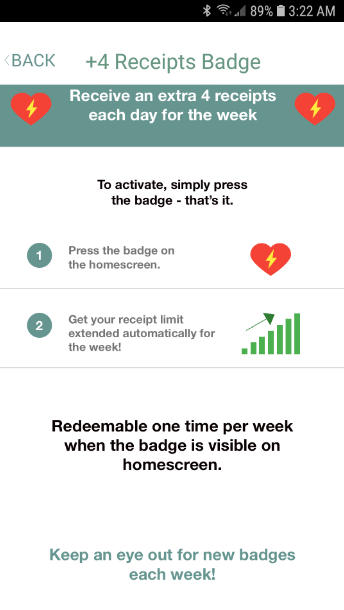 Another thing that I discovered that they added to this app here recently is a system where you can unlock badges and be rewarded for doing various activities within the app. In order for you to get paid, you’ll need to first fill out your profile and verify your phone number using a 6 digit pin number which will be sent to your phone via a text message. You’ll then simply need to enter this pin number into the box where it asks you to enter the verification code sent to your phone. From there you can select to have your earnings deposited into your bank account or have it sent to your PayPal account. You also have the option of having your earnings deposited onto a gift card as well. Once you cash out it usually takes anywhere from 24 to 48 hours to process your transaction and you should see this money deposited into your bank account within 2 to 3 business days. I actually just received my first payment from Coinout the other day and it arrived in about 24 hours via my PayPal account. More on this in a few minutes so continue reading for payment proof that Coinout REALLY does pay you!! Like other cashback apps of this nature that require you to link your card to the app to receive your rewards, CoinOut uses a third party company called Plaid to connect to your bank and log you in using a secure and encrypted connection. What this means is that if this app were to ever get hacked then your personal banking information wouldn’t be at risk since CoinOut doesn’t have access to this information. If you choose the gift card option instead you’ll be asked to verify your email address first before requesting a gift card. Gift cards usually take 24 to 48 hours to process and once these are processed your gift card will arrive in the email inbox that you used to register your account within a few short hours. At the current time of my writing this review, Amazon is the only participating retailer that you can receive a gift card from at this time. However, I’m sure that there will be many other merchants available for you to pick from as more merchants opt-in to participate in this cashback app. When I went to try and cashout I found out that you now need to earn at least $10 before requesting a payment which I think is totally reasonable for a site of this nature. Payment Proof That Coinout REALLY Does Pay You!! If you have visited any of my sites lately then you’ll know that I only promote products or services that I have personally tried out myself and made money from them before I recommend it to you guys. Take a look at how much I was able to earn from this app by simply participating in their referral program and sending them leads on an almost daily basis. As you can see this was just a few days ago as I’m updating this review on Feb 12th, 2019. I have already earned $4 so far just since the 8th and at this rate, I’ll have enough to cash out again here really soon. Besides scanning receipts, there are also a few other ways to earn with this app and I’ll be listing these opportunities with you guys below. 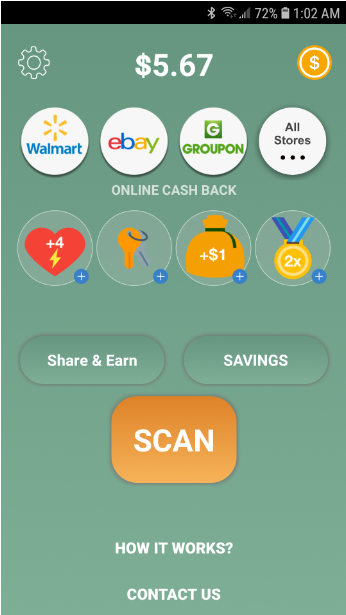 Like other cashback apps, they have a referral program that allows you to earn 75 cents for each person who joins through your unique referral link and scans their first receipt. There are no requirements that your referrals will have to meet other than scanning their first receipt for you to have these earnings credited to your account and this is another thing that I particularly liked about this app. Also, if you click on the coupons tab within the app you’ll find that certain retailers are offering special promotional offers and additional cash back rewards for purchasing certain items. If you’re the type of person who does a considerable amount of shopping on a daily basis and spends a decent amount of money on eating out then why not put some of this money back into your pocket? I have just downloaded this app the other day and I have already earned nearly $1 back from scanning receipts on stuff I buy on a day to day basis. To me, this is like free money and you would be quite foolish not to take advantage of this opportunity. While I know this may not seem like a lot to you guys, this can add up pretty quickly and before you know it you’ll have accumulated $5 to $10 for receipts that you would normally throw away anyway. This is like throwing money into the trashcan or littering up your car with so why wouldn’t you do this? If you’re a couponer and you’re looking for an easy way to put some of that pocket change back into your wallet then I think you owe it to yourself to check this app out for yourself to see what it can do for you. However, if scanning receipts and earning pennies on the dollar isn’t something you’re interested in doing and you’re looking to earn some life-changing money doing something you’re passionate about then perhaps you should look into Wealthy Affiliate instead. This is where you’ll learn how to build a website based on a hobby of yours and learn how to promote products from places like Amazon, Target, BestBuy, Gamestop, and many others just to name a few. Other than that, I really hope this CoinOut cashback app review has given you guys an inside look at what this app is all about and whether or not its worth your time. If you have any additional questions for me or would like to share your experience with this app please feel free to leave this for me in the comments below. Previous Post: « My Honest Cashcrate 2019 Review- Legit GPT Site Or A Scam? Awesome review of CoinOut Scott. I’m currently writing a review as well and wanted to let you know that at least for the time being, it’s $.75 per referral and all they have to do is sign up for you to get paid. Scanning a receipt is not necessary. Great site and keep doing what you’re doing. Thanks so much for dropping by and informing me of this and I’ll have to update this in my review. Here lately I have been getting multiple 75 cents referrals so I figured there was some type of promotion going on or something. Do you know how long the 75 cent referral promo is going to be running for? That would explain why I’ve been getting so many referrals lately and hopefully, they keep this promo going for a while. Thanks so much for the kind words about my site and I’ll talk to you later.